About Cate – Infinite Sadness… or hope? My name is Cate Reddell. I live in Christchurch, New Zealand . You’ll find me down the bottom of the Pacific Ocean, to the southeast of Australia. I started blogging because I had already been writing (a book called Infinite Sadness) and I wanted to keep writing with what I hoped would be a potentially wider audience. At the time the book was published, I felt like severe chronic mental illness would always be a major, and possibly life-threatening, issue in my life. I’ve changed my mind. Maybe there was hope for something better. I’ve decided that there is something more than infinite sadness and so I want to share my journey of hope with you. I have Borderline Personality Disorder (BPD), diagnosed some 17 years after treatment began. Until then I was simply described as treatment resistant. I hate that term. There are a few other labels attached to my name too. I’ll get into those as I write. Am I crazy? Probably. Is it ‘all in my head’? Absolutely, that’s where my brain resides. Is it easy? No, it’s damn hard. To add to the mix, the last couple of years have seen a dramatic decline in my physical health. In 2010 I was diagnosed with the auto-immune condition Graves’ Disease. It was caused by medication I took (and still take) for my mental illness. But then that medication is saving my life so it’s a huge dilemma. One that too many people face. The major focus for my physical health is that I have Fibromyalgia, a harsh condition often brought on by auto-immune diseases and severe trauma. It consists of pain and more pain. And fatigue. And a thing called cognitive dysfunction (or brain fog). Plus a whole heap more possible symptoms. It’s not nice, Both of these conditions are with me for life, although they won’t kill me. I write about all of these things, as I fight for a return of mental health and a means of managing my physical issues. Want to know more? Start reading. I hope you enjoy my writing. It’s important that you know something of the type of person I am, aside from health issues. Compassion and kindness are essential to me. Animal welfare matters greatly. Of war and peace, I will always side with peace. There simply has to be other ways to solve difference than to kill innocent people. I strongly detest guns, and see no reason why people carry them. If they think it is for protection, they are fooling themselves. I don’t believe guns will ever solve anything. All that said, I accept that we are all different beings with different experiences and backgrounds. I’m sure these things contribute to our beliefs and opinions, and so accept that your thinking might be quite different from mine. The best way to start the day is with coffee. The best coffee I can afford (which doesn’t say much). I have never learnt how to properly tie shoelaces. I have tried and tried but it seems completely beyond me. Five years ago I lived through the Christchurch Earthquakes of 2010/11. Don’t get me started. Those quakes changed my life forever. There is so much more in my blog, so start reading. Hi Kate, I to am a 40-something gurl, from Angus, Ontario Canada. I have just recently been diagnosed as having Bi-Polar Disorder and Depression/Anxiety. I look forward to reading and following your blog! Thank you so much Kevin. Aside from the hilarity, I really appreciate your recognition of my blog. From another flightless kiwi. I’ll do you a deal. 🙂 I’ll tell you about mine if you’ll tell me about yours. Deal? Now tell me about yours??? I’ve nominated you for the strong person award. Because you are. Pingback: My ‘Anti-Social Media’ Day | Infinite Sadness… or hope? Nice to meet you Cate. I’m a forty something living in America. We have much in common. Nice to meet you too Denise. Dare I say it I’m sorry we have much in common. I’m sure you will get what I mean by that, and it is always good for us to know there are others in the world who have similar journeys. Cate, I definitely get what you mean…funny how we can speak the same language so far away from each other. Hi Cate, I’ve nominated you for the One Lovely Blog Award if you’d like to accept. The details are on my blog. I am pleased to notify you that you have been given The Courageous Confessional Blog Award. Thank you for doing what you do and for sharing yourself with us all. I have had my long term dark period but now I have with lots of faith come through. I hope to win the fight to the upmost. But I had to have faith. I have been through the hospital system in NZ but was glad to be free of it. The stigma is real but I one has to fight and its not fighting flesh. I found solace and good friends amongst the church. Hey Cate. I hope that you’re feeling a little better today. I wanted to let you know that Canvas has started the Blog For Mental Health 2013 campaign, and so I (of course) pledged you immediately. Whenever you are feeling up to it, have a look at my post: Blog For Mental Health 2013 Is Here!. I’d love to be able to add your name to our blogroll, and having you on board would just mean a lot to me personally, but you take your time. Take your time, and love to you! Cate, this is brilliant. Twitter suggested I follow you, that took me here, and I’m jazzed that I am. I’ll be reading with interest what you have to say, as I’m just recently making a hard turn on my mental illness/health road and can see the value of being inspired by other folks on that same road. Hi Karen, Thanks for finding and liking my blog. I totally get what you say that it is hard to have a real understanding of a mental disorder when you don’t have it, although I think I just thank my lucky stars for what I don’t have. It is the great thing about blogging though, that you get to read of real experience rather than simply text-book style sites. Don’t really know why it took me so long to find and follow you. But, here I am, having come through a post by Ruby at Canvas/Blog for Mental Health. I’m looking forward to your posts. Thank you so much for finding and following me. Any friend of Ruby’s is a friend of mine. Well, Lindy is a screen thing. I’m Janice Lindegard. I publish Crazy Good Parent (crazygoodparent.com) I also have a personal blog that I have neglected sorely, Snide Reply. Crazy Good is a community/blog for parents who have mental illnesses…like me! Ruby is a peach, so likewise with the friend of her/friend of mine. Thanks! I have some ideas for Snide. It’s been hard there because I’ve dealt with tons of death in the past six months. Still reeling, I think. It’s much easier over at Crazy Good. I pick a topic for the month and write. I also try to get other people to write for it, too. So, no criticism/offense taken. Hi Cate,your blog is very interesting.I am following your blog and will visit this blog more often.Best wishes for you. PS. I would love to see your blog but am having difficulty finding it. Can you give me a link? 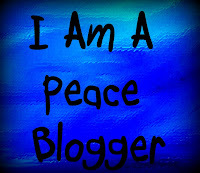 I blog Blogger not WordPress. Can I email the link to my blog? I feel it rather uncourteous to paste my blog link here on your blog (If that makes any sense). Hi, I always try yo reply to comments on my blog, aside from the truly weird ones that are probably spam anyway.